The heterocercal tail of a shark is a caudal fin with unequal lobes. A heterocercal tail is a caudal fin composed of two asymmetrical lobes. Often, such as the case in many sharks, the vertebral column passes through the upper lobe, making it the larger of the two lobes. A heterocercal tail is contrasted with a homocercal tail which has equal lobes. 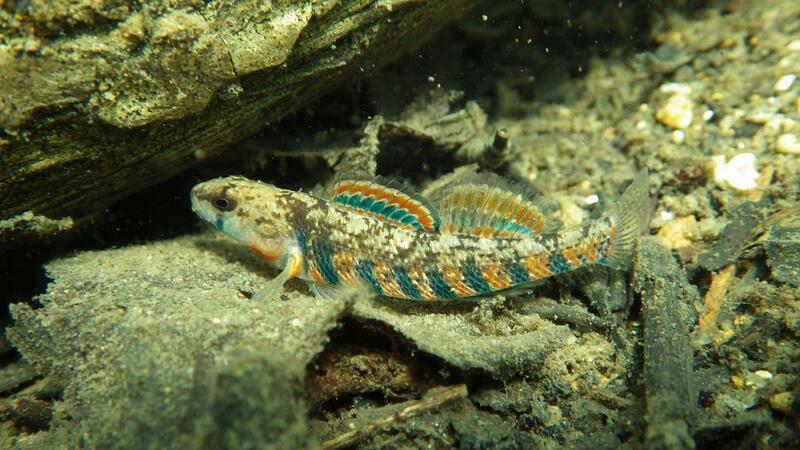 Darters have evolved to survive in fast moving lotic systems. Lotic refers to freshwater ecosystems involving flowing water, such as a river, stream, brook or creek. Certain fish species are lotic specialists and have evolved to live in higher flow water, such as darters which prefer to live in swift-moving riffles. 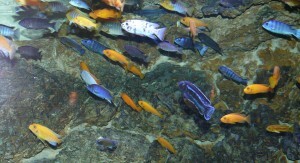 Cichlids have radiated in the lentic environment of Lake Victoria. Lentic describes freshwater ecosystems characterized by still water and low flow, such as a lake or pond. Certain fish species have evolved to become lentic specialists, such as the high diversity of cichlid species found in Lake Victoria. 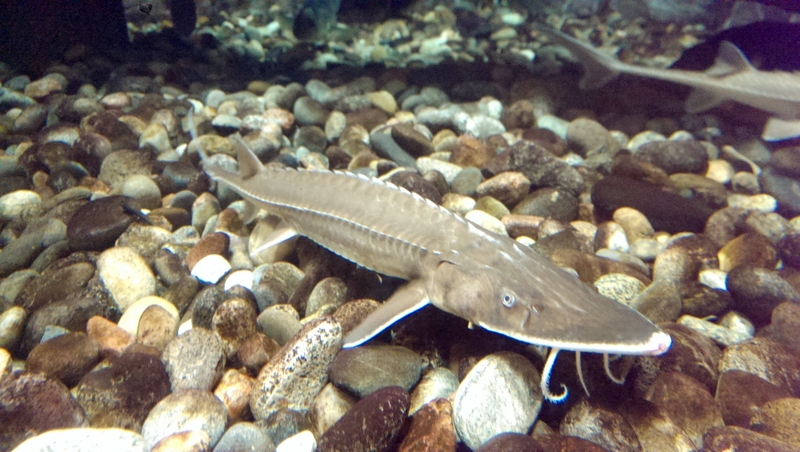 Sturgeon have multiple rows of protective scutes. A scute is an external bony plate on the surface of a fish. 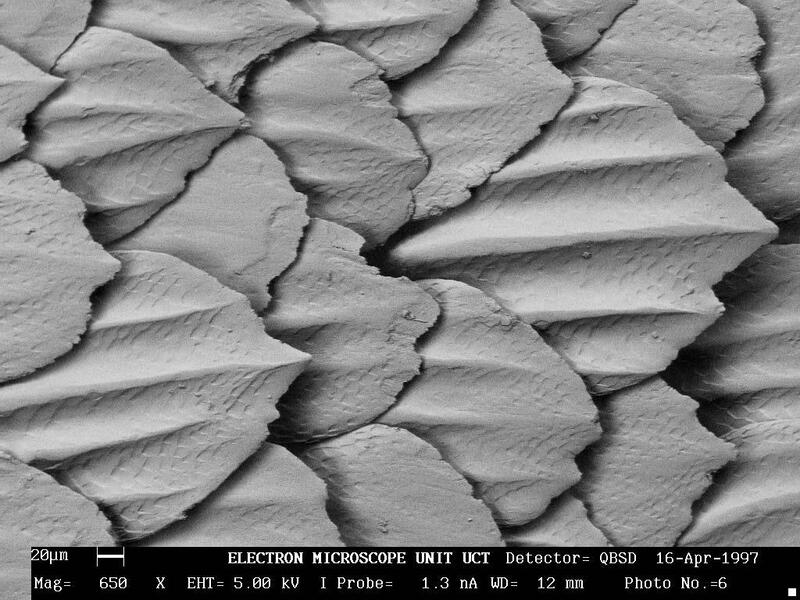 Scutes serve a protective function, acting as a body armor for fish against environmental abrasions and even predation. 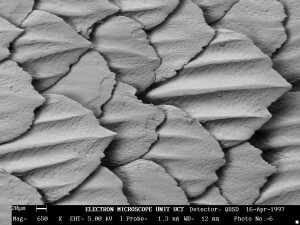 In some fishes, such as Alewife (Alosa pseudoharengus), scutes are a row of scales modified into sharp, protective plates. In other fishes, like Shovelnose Sturgeon (Scaphirhynchus platorynchus), scutes serve a homologous function but are derived from ossified deposits in the dermis (essentially bone over skin). Spotted Eagle Rays are a member of the cartilaginous subclass Elasmobranchii along with other rays, sharks, and sawfishes (NOAA). 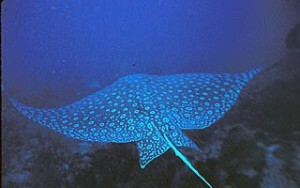 Elasmobranchs, including sharks, rays, and sawfishes, belong to the taxonomic subclass of cartilaginous fish Elasmobranchii. 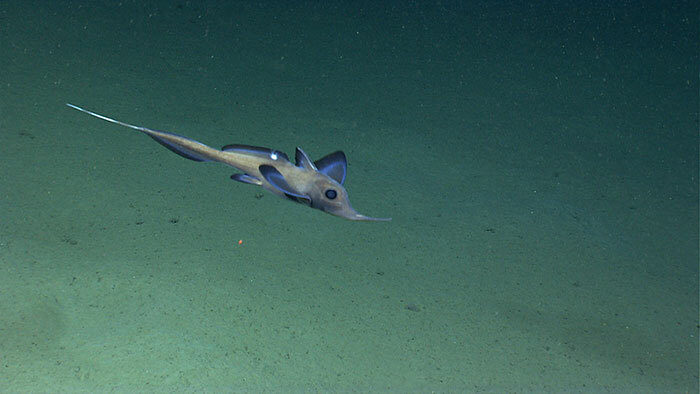 Like most chondrichthyes, they have exposed gills, no swim bladder, internal fertilization, and placoid denticles. 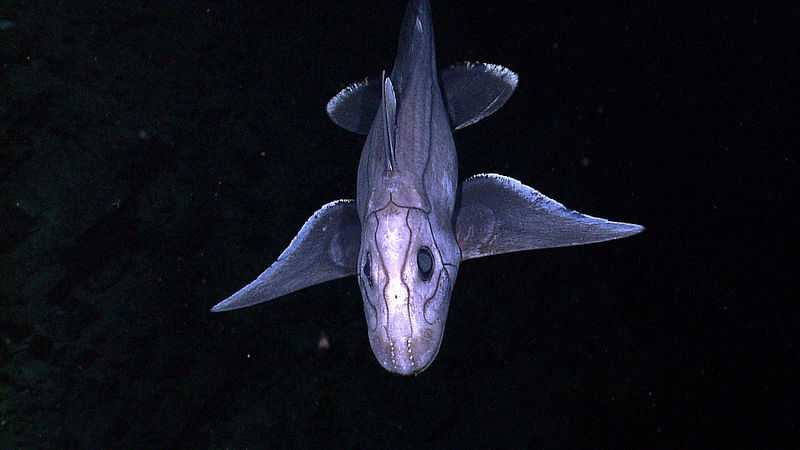 They differ from the other subclass, chimaera (subclass: Holocephali), in that they have rigid dorsal fins, placoid denticles cover most of their bodies, and they usually have spiracles (modified gill slits directly behind the eye). 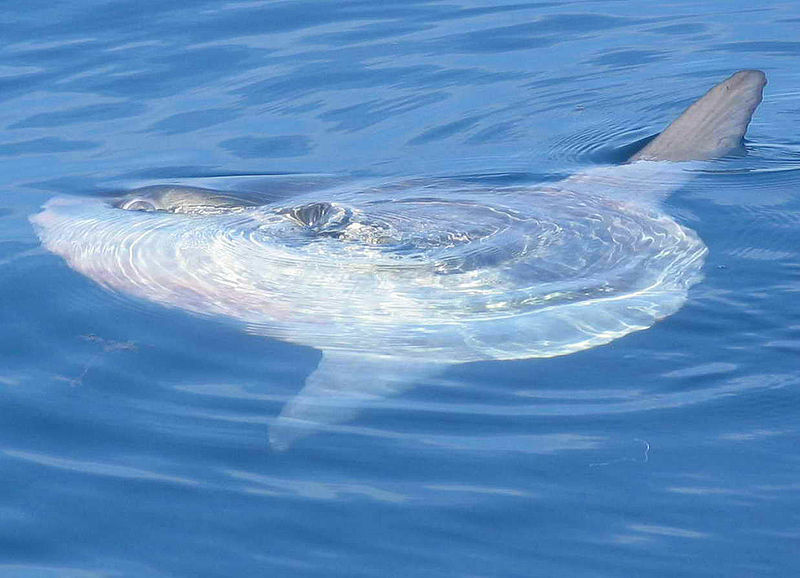 The Ocean Sunfish is considered to be the largest member of Osteichthyes, reaching over 2,200 lbs. Osteichthyes are a taxonomic grouping of bony fishes. This group includes ray-finned fishes (class: Actinopterygii) and lobe-finned fishes (class: Sarcopterygii). This highly diverse group of fishes, which contains almost all fish species, is the most diverse group of vertebrates today. Osteichthyes differ from chondrichthyes by (in most cases) possessing a bony skeleton, a swim bladder, scales (ctenoid, cycloid, or ganoid scales), and external fertilization. The Weberian apparatus is amplifies hearing in Ostariophysian fish. 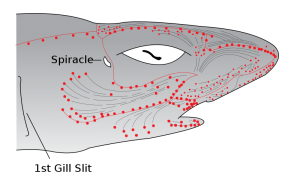 This series of small bones links the swim bladder to the inner ear in Ostariophysian fish, including minnows, carp, catfishes, and characins. When a sound wave hits the swim bladder, the vibration is transferred through the Weberian apparatus to the auditory region of the inner ear. This action helps amplify sound and, as a result, these fish have very sensitive hearing and can hear sounds that many other fish are in capable of hearing.